HYDERABAD: As contentious debate goes on the purchase of bitcoins, several people continue buying them.Financial experts and bitcoin observers fear a crash. The fact that it has grown close to USD 11,000 from less than USD 1,000 in a year has been attracting investors and even general public, who hitherto ignored this controversial cryptocurrency.“Bitcoin has grown exponentially surpassing expectations. People who have invested till now have benefited. But only those who have appetite and capacity for high risk should invest in it. Though investing in bitcoins is not illegal, there are many complexities associated with it. I feel that bitcoins are not for common man, who look for secure investments, but of late more and more people are investing in them,” said Prakhar Bindal, founder of GAMBIT, a networking event of investors and businesses involved in cryptocurrencies. Interestingly, it has been mostly tech-savvy youth who have been investing in bitcoins since the crypocurrency hit the market. Owing to its meteoric rise, there has been a spurt in investors buying bitcoins.“Bitcoins are created using blockchain technology. Not everyone can understand easily. 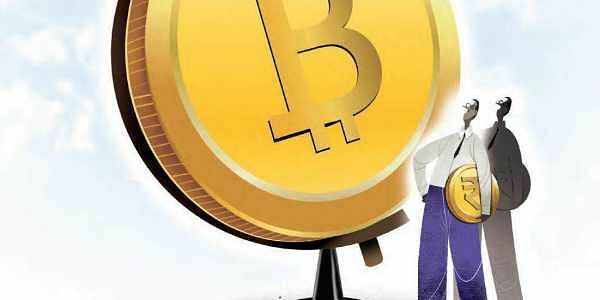 Tech-savvy youngsters are at an advantage while transacting with bitcoins. But with huge hype, people from all walks of life are getting attracted. However, bitcoins are highly risky and one should invest only such money, which they are ready to part with,” explained Sainath Gupta, CEO of Hyderbad-based Anything AI Cyber Pvt Ltd, who works on maximising returns on bitcoins. Unocoin, Zebpay and other online platforms emerged as popular destinations for bitcoin investors while many newer avenues have also sprung up owing to increased activity.But many questions regarding bitcoins including whether they are safe, legal or illegal, how the income earned from bitcoins is taxed etc, remain unanswered. In spite, people have been eagerly investing in this volatile virtual currency. “Mostly people who are ready to speculate have been looking for quick returns are investing in bitcoins right now, which is not a right thing to do. Also the fear of money crashing looms large. One has to study bitcoins properly, understand the risks and rewards associated with it before investing,” said Arun Christudhas, who runs a consultancy specialising in cryptocurrencies and blockchain technology.